If you're new here, you may like to subscribe to our FREE Singing Newsletter, and download the ebook "Ultimate Guide: 90 Days to Become a Better Singer" for FREE! (just fill-in form to right in the sidebar). Thanks for visiting! We all know how to sing. It is just as simple as opening your mouth and producing sounds. Well, not really. Some people do admit that they do not know how to sing properly. 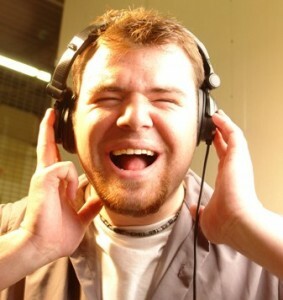 Even those who do know the basics of singing may still experience some problems like temporary loss of voice because they may be applying the wrong techniques. The right way to sing will give you a more accurate, healthier and sustainable voice as compared to the potentially harmful techniques one is accustomed to. If you have plans on going pro or even if you just want to be able to sing nicely in front of your friends, there is definitely a need for you to develop good singing techniques. Of course, these techniques will not only make your voice sound good, but also preserve its good quality. For this to be possible, you need to have good overall health. You must always keep a healthy diet, get enough sleep and do exercise. Also, it is necessary for you to avoid smoking, prohibited drugs and excessive alcohol. Although rock stars are often portrayed on television as heavy party-goers, it does not exactly happen in real life. In reality, these singers need to take excellent care of health and avoid unhealthy habits that ended the careers of talents early such as Elvis Presley, Janis Joplin and Jim Morrison. Of course, they would want to have a long and bright career. If you really are serious about singing, it is necessary for you to take lessons. Everyone who wants to excel in their respective field would need proper training. These singing lessons can be online or in a campus. Sample of online singing courses are “Singing is Easy” by Yvonne DeBandi and Emily Mander’s “Singorama”. You can choose from any method because what’s important is that you learn how to use your voice properly and how to avoid and deal with voice problems that may occur. Primarily, the teacher should focus on your posture and other physical techniques that control breath support. These physical techniques allow you to produce and hold the best vocal tone. The correct singing posture is to stay relaxed but stand erect with the feet apart and one foot slightly forward. Your shoulders should also be kept back and the chest should remain high. Also, it is important that you are not as stiff as a soldier. To achieve a good singing position, you can do one exercise. First, try standing with your feet about hip-width apart while keeping your arms at you sides. Now, bring your arms up in a circle reaching over the top of your head and tiptoeing. In this exercise, it is important that you take a long, deep breath. Slowly exhale while returning to the staring position. Breath support is very crucial in singing because it allows you to produce a good tone without over-straining your throat. While inhaling, you should feel your midsection expand. At that moment, your diaphragm, spinal muscles and abdominal muscles are all working together. A breathing exercise that you can do is to take a good, deep breath and as you exhale, let out a hissing sound while keeping your midsection expanded. There is a lot of effort needed to strengthen the muscles there but once they do become strong, you will surely become a better singer who experiences lesser to no vocal fatigue. The two foundations of good singing: posture and breath support, are only the start of your lesson. Next, you will have to learn about proper placement and quality of the voice. The vocal tone resonates in three areas. These are the chest, the head and the pharynx (mouth and throat). You should use your head tone or head voice when you are trying to reach high notes and your chest tones for the low notes. Most of the time, however, you will be using a mixed tone. A mixed tone is produced both in the head and the pharynx. This combination is also called “mask resonance” because you will be feeling sound vibrations in the area which is covered by a half-face Halloween/ball mask. For you to feel the mask resonance, you have to try this exercise. First, inhale deeply. With a “hoo” or a “hee” syllable, produce a sound from your highest possible note until you reach your lowest range. In a way, the feeling would be similar to yawning and you will feel sound vibrating in your soft palate found in the roof of the mount. You will also feel the sound vibrating in the triangle between the eyes and in the bridge of the nose. These are only the basic ways on how you can sing. It will definitely take a bit of time and effort but constant perfect practice will make you a master of these techniques. See What You Can Learn With Free Online Singing Lessons! How to Sing and Play Guitar So Both Sound Good! Ready to Sing? Read This Singorama Review! Copyright © 2013 - 2019. CanAnyoneLearntoSing.com. All Rights Reserved.